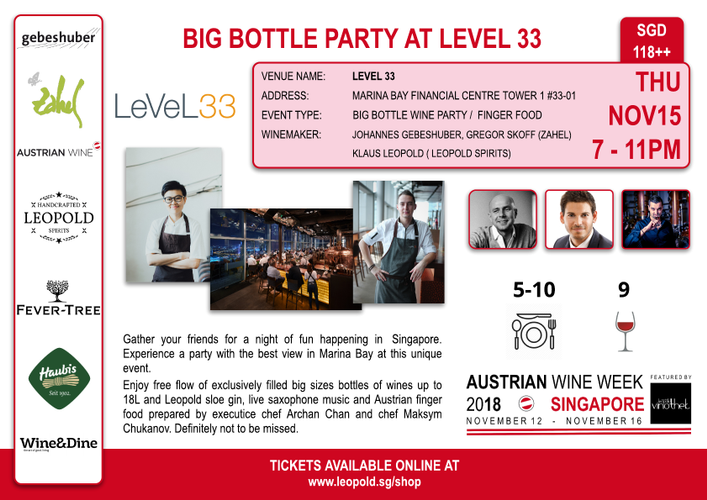 The Big Bottle Party will showcase wines from Winery Zahel, Winery Gebeshuber, winery kirnbauer and Leopold Organic Sloe Gin from Leopold spirits. Expect glasses to be poured from exclusively filled big bottles, with size ranging from 1.5l over 4.5l, 6l, 9l, 12l to 18l. The free flow event will be accompanied with live saxophone and Austrian finger food.